This is one of my favorite Christmas cutters. Several years ago, I designed this shape with some good cookie friends and the cutters were made in mass quantity. But eventually, they sold out of the cutter and it was hard to place another order. Thankfully, my good friends at Creative Cookier agreed to offer this shape in their shop. 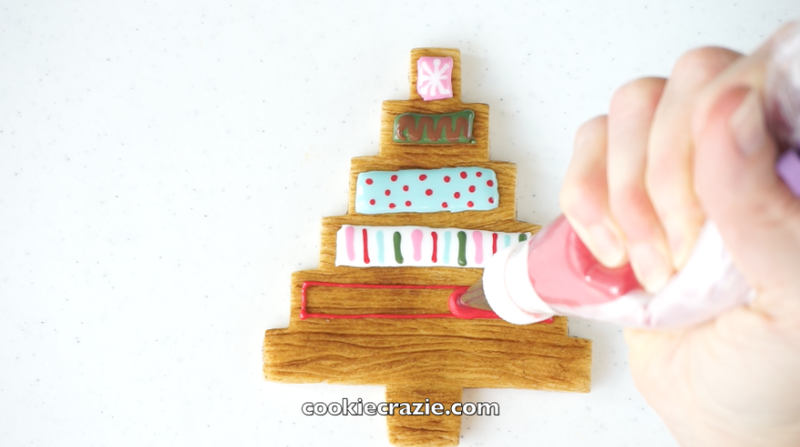 You can find the "Homespun Christmas Tree" cutter HERE. Refer to the video and photos below to learn how the two homespun tree designs were made. After the cookies have been baked and cooled, brush the embossed dough with dry caramel dust. 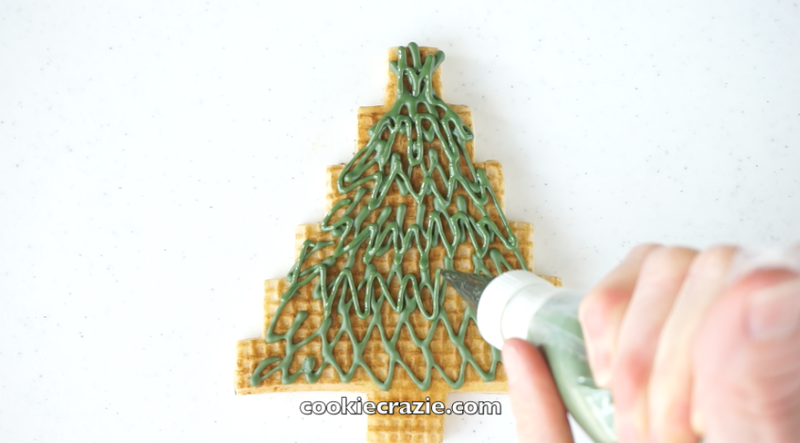 After the initial layer of glaze has dried for at least 15 minutes, add an additional layer of zig zag lines. 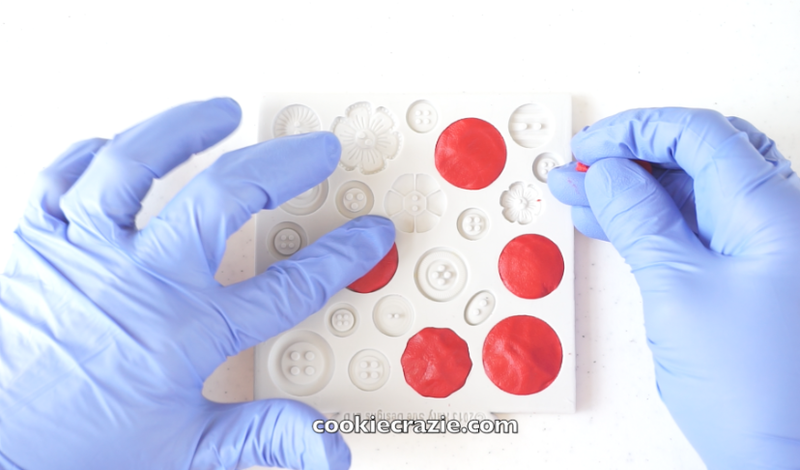 Completely fill a silicone button mold with red edible clay. (Recipe for clay found HERE & Mold used found HERE.) Place the filled mold in the freezer for at least one hour. For the second design, emboss the dough with the wood plank impression mat. Bake and cool the cookies. Brush dry caramel dust over the embossed dough. 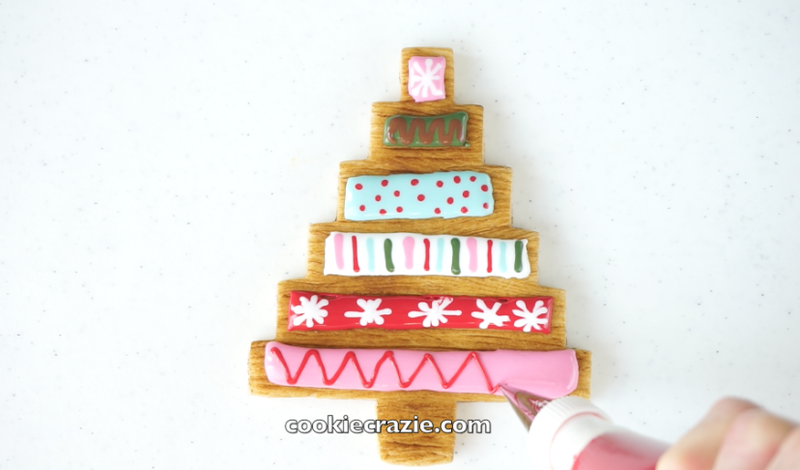 And there you have it......two fun homespun Christmas tree cookie designs.